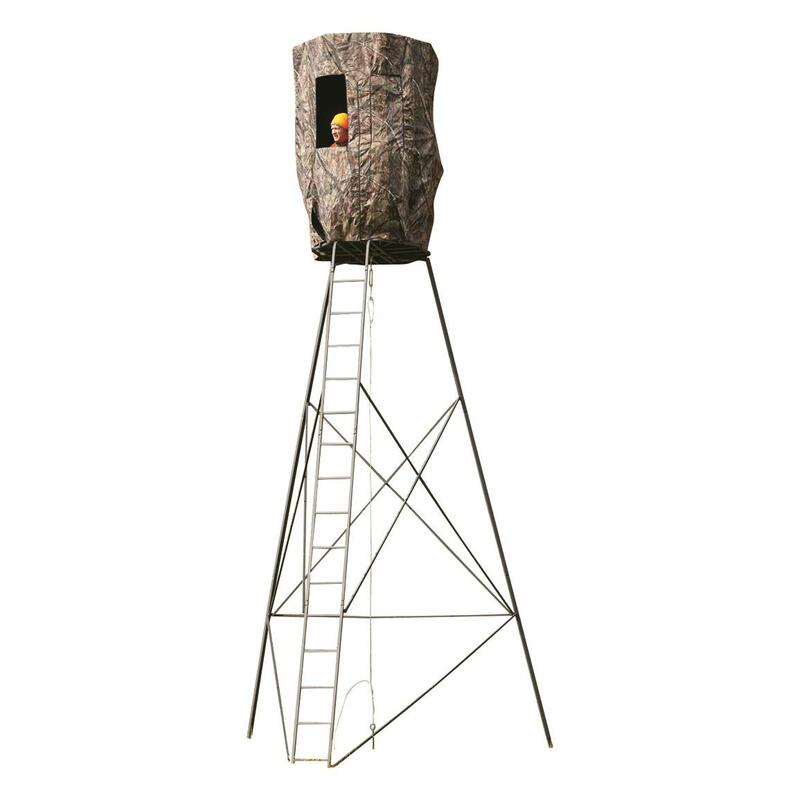 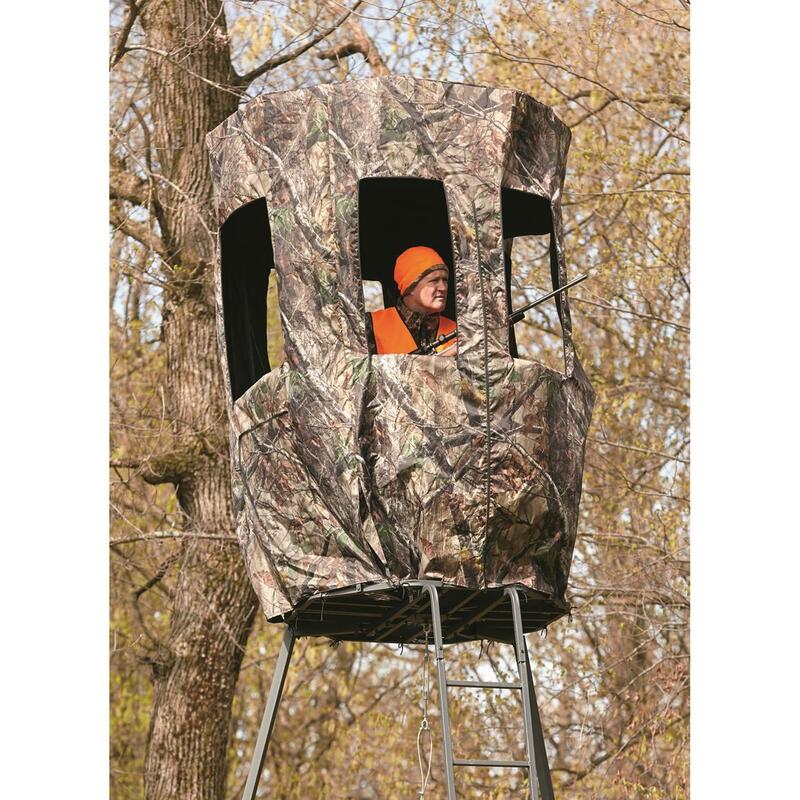 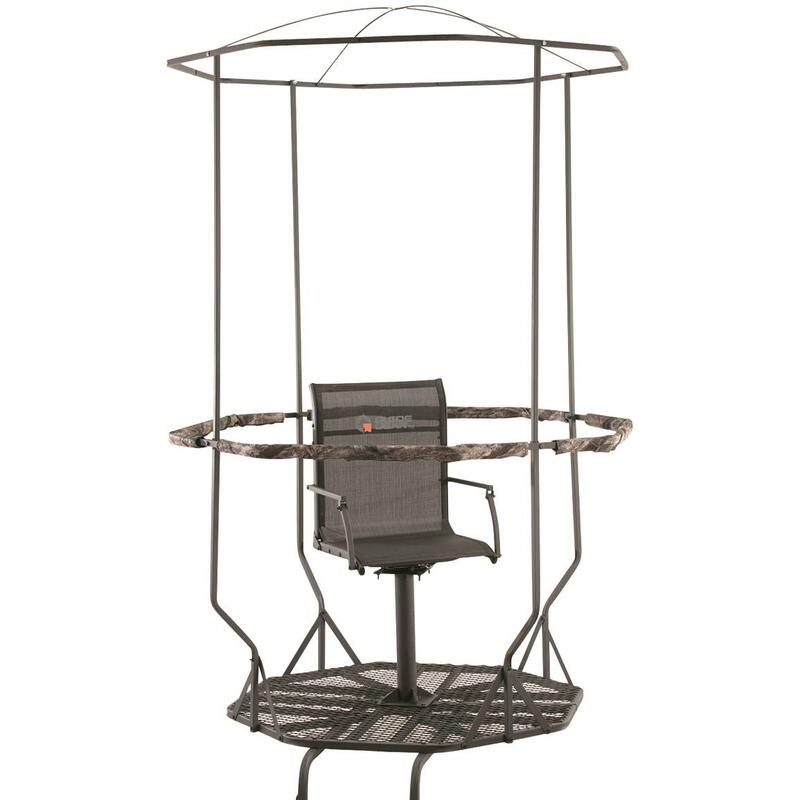 Transform your tripod into a hunting hideout! Your new hunting headquarters! 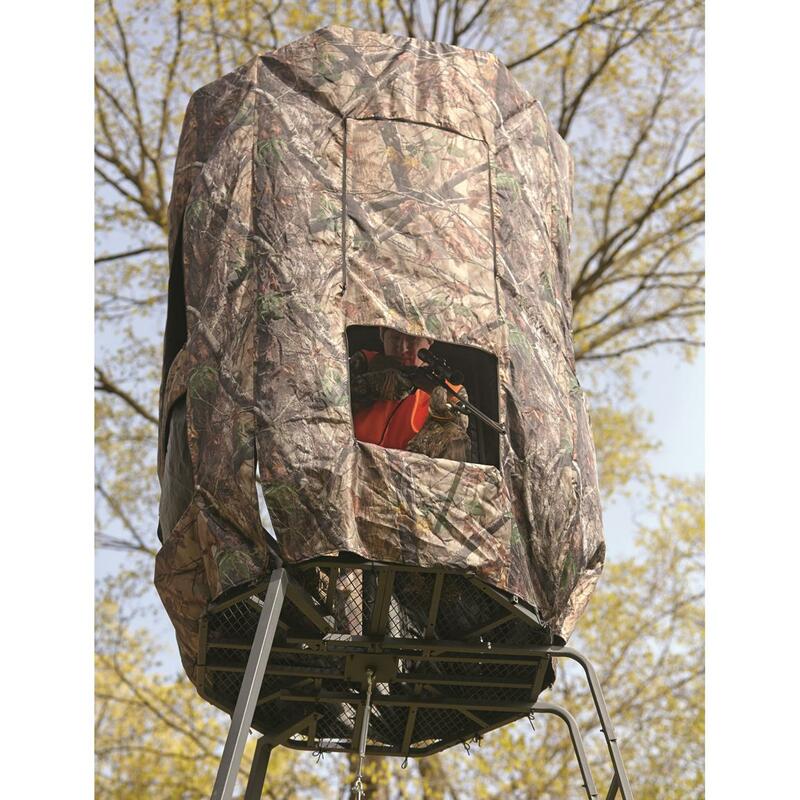 The Guide Gear Full Blind Enclosure attaches quickly to your 20' Tripod Stand, giving you complete coverage from nasty weather and the wandering eyes of curious game. 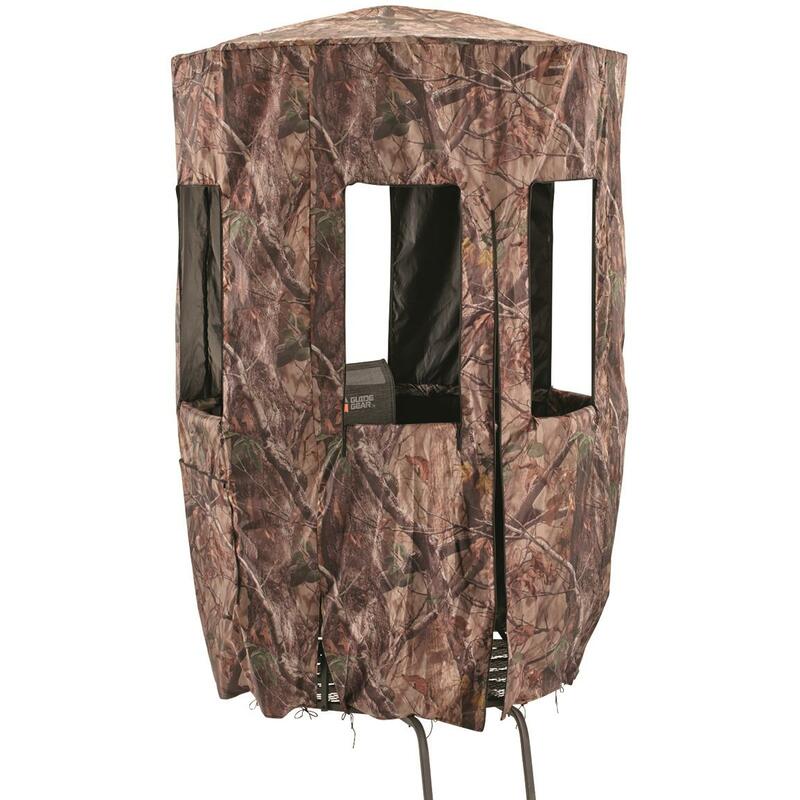 Plus, it features 8 zippered windows and an easy-access door.